The majority of cases heard by our court system are heard in the municipal, or township, courts. While the more serious criminal matters are referred to the County Prosecutor, the lesser charges, known as traffic violations, disorderly persons offenses or municipal ordinance violations, are all heard in these Municipal Courts. The penalties for such matters can include imprisonment in the county jail, loss of a driver’s license, points on your driving record (which would affect your insurance premiums), as well as fines and costs to be paid. It is true that many people represent themselves in these matters. However, it is still important that you discuss the matter with an attorney and see whether that is appropriate for your particular case. Certainly, the severity of the potential penalties is a factor that anyone should seriously consider. 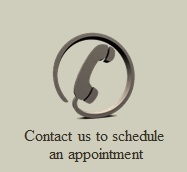 We at Woodland, McCoy & Shinn have substantial experience in these matters and are available to discuss your situation and, if necessary, represent you in any court proceedings.